Home Informations Guides and Advices for Chihuahua Training of Chihuahua, Guide and Advices. 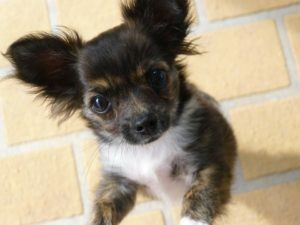 Chihuahua is a very intelligent and a lovable little dog, so training a Chihuahua can be fun and at the same time relatively simple. When you bring home a dog of this breed you need to be aware that the first rudiments of education have been given by the first owners, so it is necessary to accustom the dog to the new spaces and to respect them. In this first phase, the advice is to entrust to one person of the family the burden, or the honor, of training, in this way the dog will not be confused. How to educate a Chihuahua to do the everyday needs. Besides the name the first things to teach it is where to go out and poop. But this must be done if he notice the error, otherwise by scolding him after a long time it could disorient the dog that does not understand his real mistake. How to be heard from a Chihuahua. The first thing to do in order to be heard by your dog is to choose the name and make sure that the dog responds to it. Once you choose the name, a common mistake is to use nicknames, which may really confuse the dog and therefore are not recommended. There is no need to dedicate to a Chihuahua training for many hours, in fact especially in the first period it is enough 15 minutes a day and it is recommended to train him in the house because he is a very curious dog, out of the home the environment could distract him too much. Despite the small size it is good not to let too much intent, Chihuahua needs rules and therefore also need to be scolded sometime, without overstating, of course, just like all dogs. At this stage of the training the tone of the voice must be decisive, peremptory, so that the dog understands that there are no alternatives, and that thing should not be done. If there is something that it should not be done you must never tolerate it because if you let it go sometimes, then the puppy will be confused. 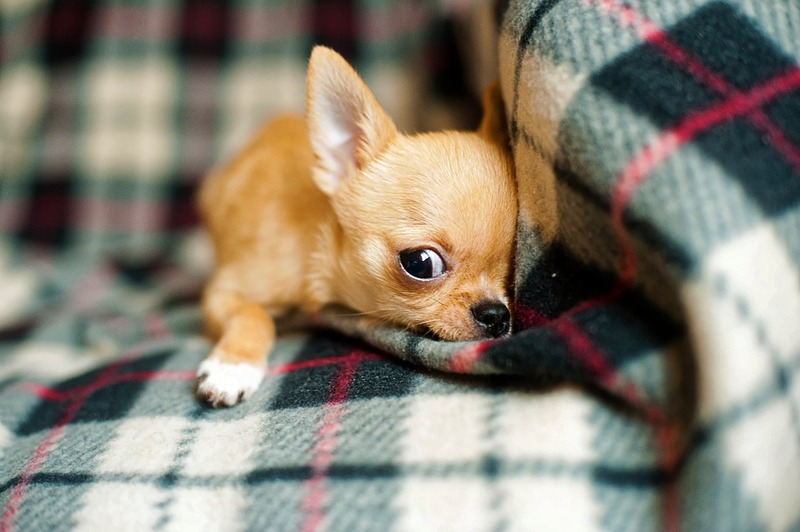 To make the Chihuahua puppy approach you when it is called, you need to take some food in your hands and call it in a clear voice, each time it gets rewarded and pampered, with time it will understand that when called he should approach. How to teach a Chihuahua not to bite. Another important rule to teach, in order to avoid being ruined in the house, is not to let him snuff and bite slippers, furniture or other objects that are in the house. When the dog is caught in this habit it needs to be reprimanded, but you must immediately give an alternative. Otherwise, it will continue with the wrong behavior simply because the dog, and especially a puppy, for the rest of his life, loves to chew. Besides, it also cleans the teeth, so it is a behavior that must not be extinguished, but only addressed. .
How to Use Chihuahua on a Leash. Chihuahua training also provides a special attention to accustom the dog to the leash. It may seem like a very simple and intuitive thing, but actually it’s not because being a very small dog it can be frightened by the outside world that looks really big out there. When he get scared the dog can be tempted to run away and so it is not recommended to try this training in the street, or near other danger sites, better if you choose a park. It is preferable to choose a leash with a harness, so that the dog will feel more secure. The advice is to hold him first in the arm for 100 meters and then put it to the ground, trying to teach them to step in. To invite the dog to follow the master you can use toys or treats that are released as a prize when the dog follows. How to teach Chihuahua to do the needs on the absorbing Mats. To teach him to pee out will certainly take a lot of patience, but even teaching him to use the absorbing mats will probably take a long time. Let us also remember here, as in all areas of training, that the positive reinforcement is the best way to get good results from our dog. So, arm yourself with patience and be prepared to follow your puppy whenever you can, to check out that it goes on the absorbent cloth to do its needs. When you have your eyes on it (because inevitably after a while you will be able to figure out when your Chihuahua is “going to combine it”), act as fast as possible, taking it over the absorbing sheet and making it understand that that is the right place. Once he has your needs there, praise it and award it with tasty morsels and caresses. The most quoted moments for the deposition of “gifts” are those immediately after the meal. The absorbing mat in any case must be placed in an easily accessible place from the tiny puppy and should not be placed in the middle of a room, but preferably in a corner where there is too much coming and going of people. Alternatively, if your Chihuahua really does not want to understand it, narrow down the space where it may be. It may be useful in this respect, to find a place for the sleeper in question and where we must still be careful to reward him immediately after that will be centered. After a couple of times you can try to extend the area to the room and finally to the whole house. In any case, remember that it makes no sense to praise it and reward it after the act of doing the pee in the right place, unless you have caught it in the moment of doing it, since he probably will not associate the two factors and your effort will be completely useless. The same is true for scolding it, it makes no sense because he will not understand what the reason of your anger is and it will only ruin your relationship. Needless to say, the coercive methods that every time you hear about, such as “putting its nose in the pee” serve no more than to frighten it. Previous articleRemove ticks and fleas in a chihuahua, guide and advices. Next articleChihuahua passionately kisses his master sleeping.